The goal has been clearly defined. Now it is time for stakeholders to prepare their game plan, and work together as a team to reach the goal. Although we have a date for the global 0.50% sulphur cap for marine fuels under MARPOL Annex VI, there are some unknowns to deal with, so communication will be needed to allow everyone to adopt the strategies that will work best for them. Paraphrasing a famous quote by Donald Rumsfeld, there are several “know knowns” about the MARPOL Annex VI compliance options, but there’s also a few “known unknowns” and there may be some “unknown unknowns” surfacing along the way. What do we know? We know that ships can comply with the 0.50% and 0.10% MARPOL sulphur limits by using traditional marine distillates (MGO/MDO); by using other types of low sulphur marine fuels that don’t fit into the ISO 8217 marine distillate tables; by using alternative fuels such as LNG or methanol; or by installing abatement technology such as scrubbers. All of these options have their own benefits and challenges, and owners need to balance out considerations such upfront investment versus long term savings, running cost, operational complexity, regulatory demands associated with each option, and availability of the right fuels and technologies to meet their requirements. Demand for MGO is expected to rise. In a white paper on the preparation for 2020, global marine fuel trader and supplier World Fuel Services (WFS) says that increase in demand will lead to more land-based quality product finding its way into the marine supply pool. This could lead to more fuels containing bio-diesel and therefore fatty acid methyl ester (FAME) being supplied to ships. WFS notes that the new ISO 8217 Final Draft International Standard recognises this with new distillate grades (DFA, DFZ, DFB) which allow up to 7% FAME, and references the CIMAC guide on best practice to ensure such fuels can be safely used on ships. What don’t we know? Unfortunately, we face several unknowns and it is here that communication will be needed to help stakeholders with their decisions. Although the official International Maritime Organization (IMO) availability study said there will be sufficient refinery capacity to meet global demand for low sulphur fuels in 2020, we don’t know whether this assumed refinery capacity will translate into actual sufficient supply of suitable fuels for the marine market by that date. Refineries will make their product output decisions individually based on their interpretation of regulatory and market signals. Though refiners are unable to talk to each other about their plans due to competition laws, it would be helpful if they communicate with the bunker supply community; including cargo traders, about what they will be able to provide. 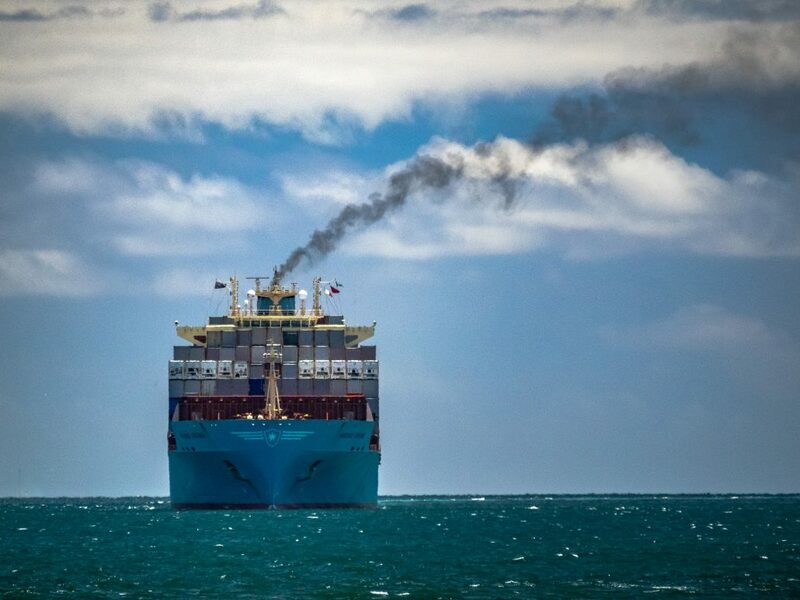 We can be quite certain that there will be different products on offer to meet the 0.10% emission control area (ECA) limit and the 0.50% global sulphur limit, with the latter costing less. Fuels between 0.10% and 0.50% sulphur are more likely to be blends containing variable amounts of residual fuels and other blend components as opposed to traditional MGO/MDO. What we don’t know is exactly how these blends will be mad and how they will perform, and the extent to which differing qualities will make fuel management more challenging. The WFS white paper says it “makes sense to gain experience of using ultra low sulphur fuel oil (ULSFO) now – in order to be prepared for the operational and supply issues ahead of the 2020 deadline.” IBIA has observed that while some experience has indeed been gained with such fuel formulations in ECAs, unfortunately there is little incentive for suppliers and ship operators to gain experience with fuel blends between 0.10% and 0.50% sulphur because there are only limited sea areas in China where ships might want a 0.50% sulphur fuel prior to 2020. The blends for the 0.50% sulphur limit may be different from the more novel ‘ULSFO’ fuels seen for ECA consumption. Hopefully, the oil majors and professional fuel blends that have begun working on these fuel solutions will make sure they are tried and tested. It could also be beneficial for them to enter into partnerships with shipping companies to run ship trials with very novel blends, and for the refineries and professional fuel blenders let us know where and when they will make these fuels commercially available. And there we have yet another unknown: When will suppliers make fuels for the global 0.50% sulphur limit available? IBIA put this question to a few suppliers, and their response was as you could expect: it depends on when owners begin ordering it! They also noted that ships’ timing will be different depending on their trading and bunker purchasing patterns. Just-in-time end-user demand will also delay supply, meaning November/December 2019 could be extremely busy as suppliers rearrange their storage tanks and barges to deliver low sulphur fuels. They will need to sort out their fuel sourcing well ahead though, because refiners do not have a switch to turn off high sulphur residual fuel output and replace it with low sulphur fuels. Once again communication is the key; bunker suppliers and traders need strong signals from buyers about where and when the will begin to buy fuels to meet the global cap, and information from refiners and/or cargo traders about where they can source suitable fuels. Likewise, the refiners need strong demand signals if they are to pick marine fuels as one of the market segments they will cater for. We also don’t know just how big the uptake of scrubbers and alternative fuels will be, and it will take a while for this to become clearer as owners are still mulling their options. Once they have decided, they need to communicate their intentions so suppliers can assess not just the requirement for low sulphur fuel, but also the level of demand for high sulphur fuel oil (HSFO) from vessels with scrubbers. Assuming full compliance, demand for HSFO will shrink dramatically in 2020. The IMO availability study estimates that 36 million tonnes of fuel will be scrubbed in 2020, accounting for about 11% of global marine fuel demand. Suppliers would need segregated storage, barge tanks and supply lines for three different sulphur grades to cater for all needs, so if HSFO becomes a niche market, will they continue offering it? It seems likely that major bunker ports with plenty of storage/delivery options will have HSFO, but it may not be viable in smaller ports unless they have regular calls from vessels with scrubbers, such as cruise ships, ferries or other short sea operators. IBIA told a recent Exhaust Gas Cleaning Systems Association (EGCSA) workshop that communication is key: bunker buyers must tell suppliers what they want, when they want it and where. This applies to everything as we approach 2020; be it low sulphur marine fuels, HSFO, LNG or other alternative fuels. One good example of such communication came from Per A. Brinchmann, VP Technical, Wilh. Wilhelmsen ASA (WWL), who told the EGCSA workshop exactly what they want from scrubber manufacturers and laid out some of the 2020 options. He said MGO to meet 0.50% and 0.10% sulphur limit seem obvious, but maybe not competitive, predicting the use of the cheaper new fuel formulations will increase. As for scrubbers, he said these would be attractive for newbuilds, while retrofits may be an option for the youngest part of the fleet. LNG is also an option for newbuilds. At least that gives a broad brushstroke of intentions; details will emerge once scrubber and LNG-fuelled newbuild orders are confirmed. Brinchmann also predicted that HSFOs will still be used by ships in 2020 even if they do not have a scrubber, which brings us to yet another unknown: how good will compliance be? It is a huge concern for operators dreading an uneven playing field, and could make it hard for suppliers to predict, with confidence, how product demand will be distributed. No doubt we have a momentous task ahead of us as we strive to meet the 2020 environmental regulatory requirement in an effective and equitable manner. IBIA, with its broad-based membership representing all stakeholders in the marine fuel sector, good relations with shipping organisations and consultative status at the IMO will strive to help achieve this objective. Global Shipping Industry Slams European Parliament Proposal To Impose Regional... Newbuild Investment: Any Big Spenders In 2016 At All?